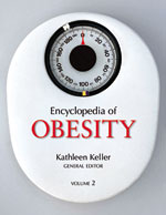 The Encyclopedia of Obesity is as much of a reference resource as it is a tool to raise awareness in the medical and public health communities. The editor has chosen topics that capture the current climate of obesity research while still addressing and defining the core concepts related to this condition. Based on a theme of âMoving Forward in an Ever Expanding Worldâ articles address topics for a changing society that is slowly adapting to accommodate obesity, including recent lawsuits, new options for medical and dietary treatment, and the importance of prevention in children.